An installation made for the Merian foundation, a foundation supporting people in need and preserving the nature and culture in Basel/Switzerland. Beauty Parlour was asked to design several exhibits to represent the Merian foundation at one of their corporate events. 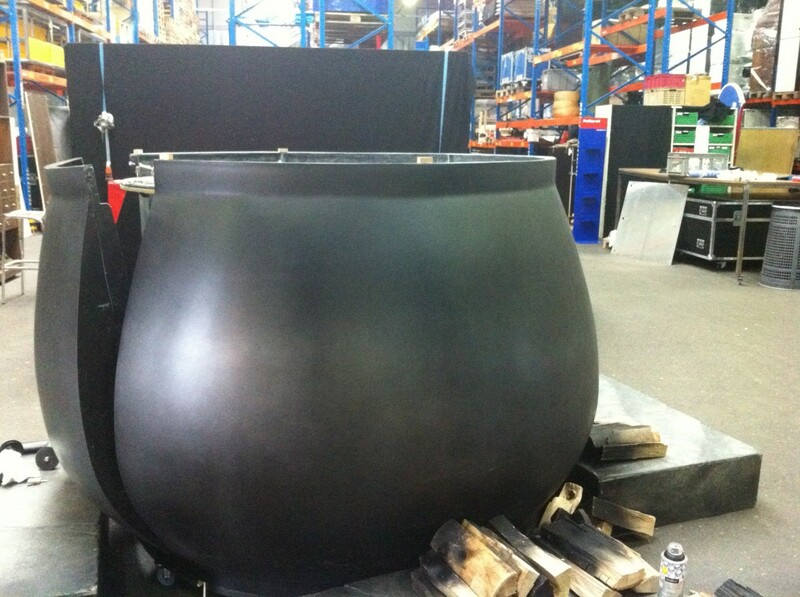 One of the objects we designed was an oversized stock pot with a touch surface. 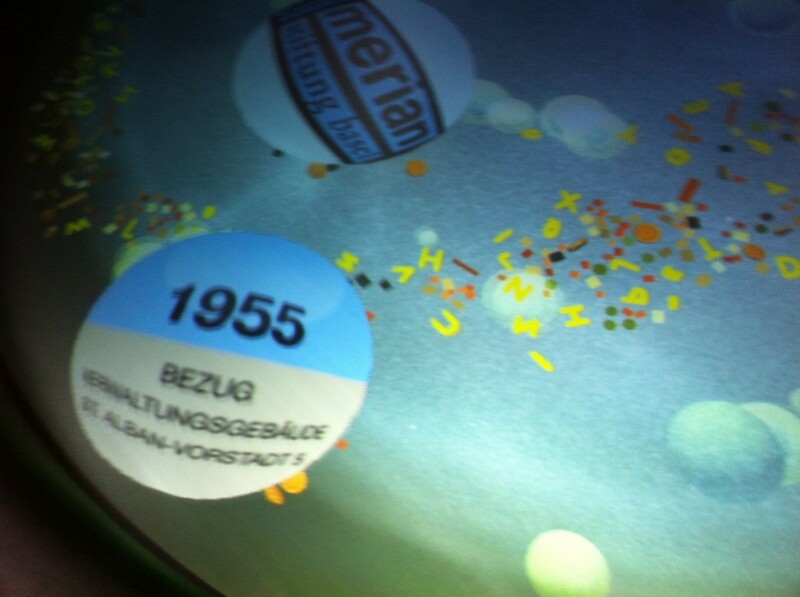 Visitors could interact with the “soup content”, which would reveal facts and images related to the Merian foundation. 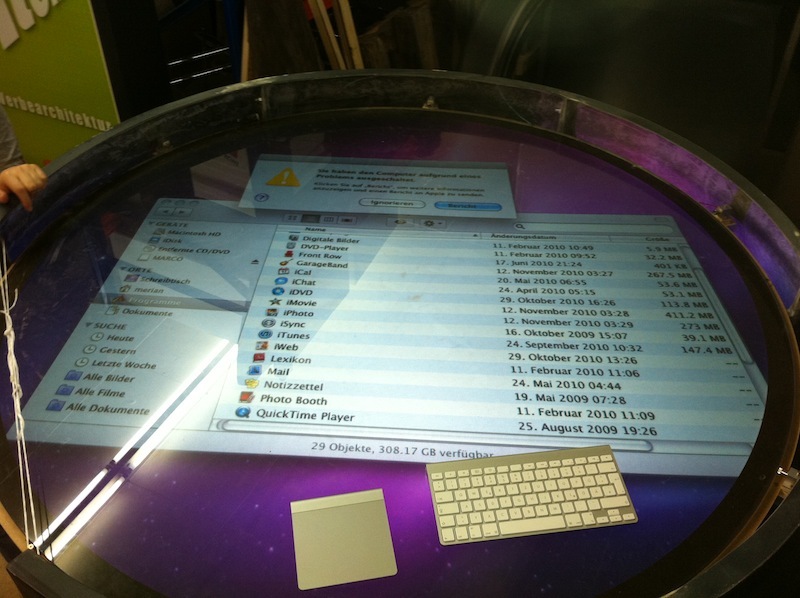 We used a technique called Laser Light Plane (LLP) to illuminate the touches which were captured by an infrared camera.To track the touches we used a software/framework called Touché, which is a tracking environment for optical multitouch tables. 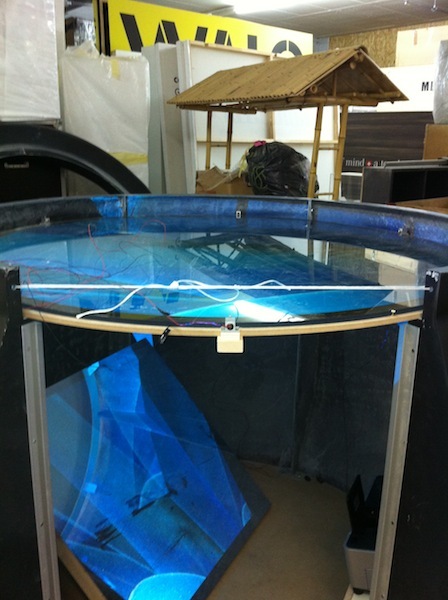 For the fluid simulation we used Memo Akten’s framework MSAfluids. 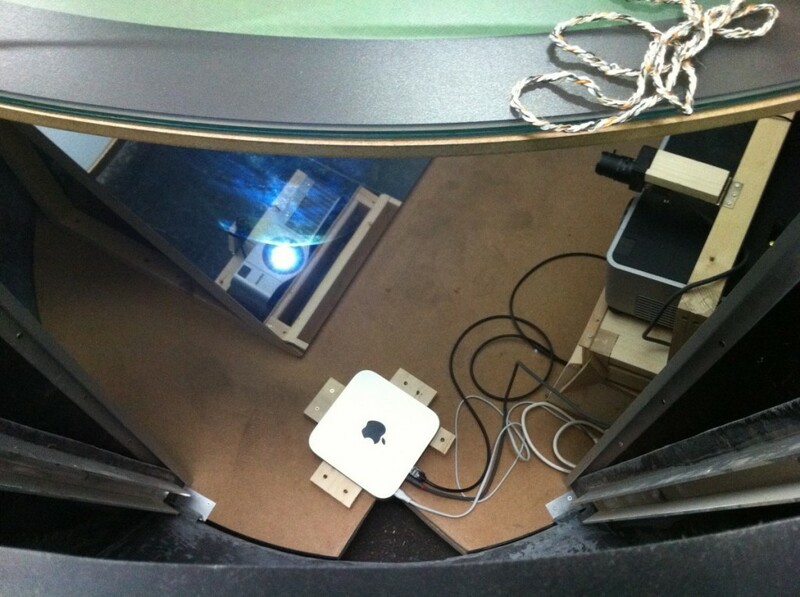 Unfortunately the images and video are the only documentation of the project that we have.